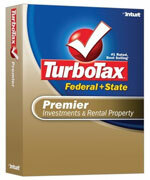 But anyways, yes – today, we give out free TurboTax cards! For both US and Canadian residents! (Though 3 for US, and only 1 for Canada – sorry!) They hosted a nice little happy hour here in the DC area the other night (thanks for the free beer!! ), and were kind enough to send us home w/ a bag of goodies too. So now you all get to win too! And even if you’re not lucky this week, you should totally check out their new apps they’ve recently come up with – you can now file your taxes on your cell phone!! Or iPad! Pretty crazy stuff… and I still don’t know how I feel about that, haha… why not just use the computer? ;) If you’re up for it though, here are the links for more info: File your taxes on your cell phone or File your taxes on your iPad. — Import Your Investment Info. Save time by automatically importing participating investment info directly from your financial institution. — Get Help Accurately Reporting Investment Sales. You’ll be walked through reporting sales of stocks, bonds and mutual funds. 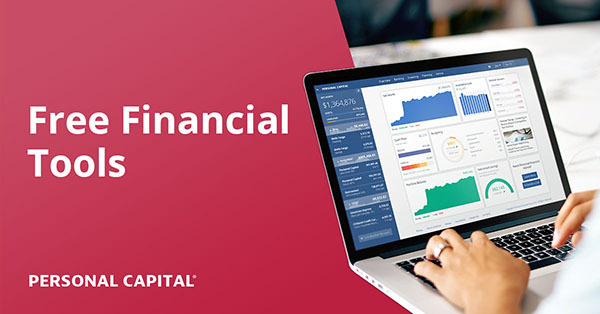 TurboTax will automatically calculate capital gains/losses and keeps track of those that carry over to future tax returns. — Your Cost Basis in Three Easy Steps. Find your accurate purchase price for stock sales, in three easy steps. — Get Help with Employee Stock Plans. Get guidance in reporting sales. TurboTax automatically determines your correct basis for selling shares purchased at different times or different prices. — Maximize Your IRA Savings. TurboTax will show you exactly how much you can save on this year’s taxes by opening or contributing to an IRA. — See Your Best Rental Depreciation Method. Simplify reporting rental property depreciation. You’ll be shown which depreciation method will get you the biggest tax deduction. — Maximize Refinancing Deductions. You’ll be guided through deducting points, appraisal fees, recording costs, and more so you don’t miss a single chance to save. — Get Help with New Rental Properties.Get step by step guidance in how to set up new rental properties. Throw your answers below, and we’ll pick the three winners over the weekend :) Make sure to get ’em in by Saturday, the 18th, and we’ll use Random.org to pick the results so it’s nice and fair. Good luck!! And I hope you end up getting a ton back! (Even though I know it means you were giving the Gov’t a “loan” all year long, but it’s still exciting!). Big thanks again to TurboTax too. PS: I still haven’t tried them myself, but I might give it a shot this year and then compare it with what my accountant comes up with ;) Would be a good test, no? PPS: Don’t forget, if you want the Canada tax software, be sure to mention CANADA in your entry! You’ll get an email from me soon! :) Thanks for participating everybody! We are not expecting a large refund, and probably owe state. The small refund from federal will cover the state part, and whatever is left over will go towards replacing the ceiling and carpet in our son’s room. We have adjusted our State withholdings 2x before, and we STILL owe every year. GRRRR. We’re planning to either use it toward paying off one of our student loans, or saving toward our house purchase later this year. It just depends on how some other things shake out, and how large the refund is. I will probably reinvest it into either a tax free savings account (TFSA) or retirement savings plan (RRSP). I can always sell a couple of spare organs to pay off the tax bill, right?? I always use whatever I get back to make some headway on my mortgage. I try not to get too much back but my charitable donations and RRSP deductions can change a lot so it is hard to get less taken off. I might buy an exercise bike too – Canadian please! My tax refund this year will go towards defraying the costs of a trip I’m taking to France. I’ve already paid for parts of the trip, so the refund will only make it less painful to do so. I know we’ll get a nice refund; I’m still not sure what exactly we’ll do with it. It’s not a huge amount of money, but we are trying to start a business, and it will probably go for that. We’re also trying to start a nest egg for when things blow up; so it might get used for that – depending on what happens first. With my Federal return, I plan on paying off some medical bills (I just had surgery in January, and though I have now reached my out of pocket max for the year, I have that first bill to pay off) and will send my tax money to DC. I choose to “owe” DC every year, rather than file quarterly though they don’t like it. With all the mess in DC’s government and misuse of funds, i.e., MY tax dollars!, I’d rather keep my money until April. I put it to better use. I will fund as much as I can of the 2012 for DW and I. I hope it’s 0 though. I’m not totally sure if we’ll get a refund this year, but if we do we will most likely dump it straight into savings. Trying to build up that emergency fund! Planning to save it for our trip to spain next summer! I will probably split what ever I get between my hardwood floors for the living room fund and my long term travel fund (Europe in 2014). I will not be getting as much back this year as I rolled a roll over IRA into my Roth account and had to pay the taxes. I am in the process of doing that again this year with an old 401K but I will have 10 months instead of 5 months like last year to takes more taxes out of my actual pay check. Hopefully i am able to get a refund this year. If I do, I will use the money to pay down some debt. My refund will go towards my living expenses since I’m in grad school! I’m hoping to get about $2000 back — $1000 of which will go to my student loans (yay! so responsible!) and the other $1000 is going to my vacation to Africa in July!!!! IF we get a refund it will go towards paying off the last of our car loan. My refund should be pretty small (a few hundred coming from the energy tax credit), but it’s all going toward my 30th birthday extravaganza in VEGAS! We’re going to go all out – cheesy helicopter tour of the Grand Canyon, scooping up all the birthday discounts we can fit in, etc. My refund should cover a solid chunk of the fun! We’re going to buy work boots and jeans for my husband and put the rest on the credit cards that have “somehow” gotten back out of control…..
I’m going to save the money and use it for new kitchen cabinets. Most likely it will be going back toward my girlfriend’s tax bill, as she’s a consultant who has to manage her own taxes. I throwing the refund to my mortgage balance. I should be close to even. If there is anything it will go to savings. We should be close to breaking even. My tax withholding was a little high, but I think my husband’s was a little low. We might get a nice surprise, but if we do it goes straight toward paying off student loans (with maybe a nice dinner or something thrown in!). I expect to owe as i captured some capital gains last year. Pretty much have set money aside to pay what think is my additional tax burden. We will use our refund to finish paying for our Disneyland vacation that will be coming up this summer and then pay down our car loan so we can pay it off earlier. Putting it in savings so we can start building our “house” fund. Our refund will pay off our auto loan. My refund is going into our Travel Fund to fund our mini vacation in May. We will end up having to pay uncle sam, so i will not be filing before april for sure. I used the turbotax online tool to get a rough estimate of what we might end up paying, divided that into 4 parts and will save one part each month from jan to april. Money you get back?! HAHAHAHAAHAHAHAHAHAHA! I plan on using my refund and my company bonus $ to finish (or come damn close to) paying off the car. We hope to get a little back this year. Half will go to Savings fund, and the other half will go towards student loan debt. We owed $3,000 last year, so we are hoping to avoid that fiasco this year. Finger crossed. My tax refund will be split with half going to savings and half to my student loans. I’m going to Belize for 10 days in mid-March, I’m hoping to have my return back by then so I can use that as my spending money instead of dipping into my savings account! If I get any money back, it’s going straight to my debt! Every last penny. I want that sucker gone! If I owe money, I’m going to straight up cry. No apologies. Then I’ll have to pause my additional debt payments until the tax is paid for. I’ll put 75% in my brokerage account for investment purposes, add 20% of it to my emergency fund, and probably put 5% towards a separate savings account I have for my study abroad program this summer. I suspect I’ll be owing money… and hope I have enough put away… oy! The money we get will probably go to paying for graduate classes in the fall. Reinvestment in the educational system! Great, right? If I get any money back I want to put it towards paying off our 25th anniversary trip. If we have to pay I guess it has to come out of our emergency fund. Hope that does’t happen since their is only $300 there. Trying desparately to get rid of our credit card debt. I will be using the return to pay off bills, then whatever is left over will go to my children’s savings and certificates. I will owe money this year. But I’ve been saving so it will be no problem covering the expense. Help my parents with their medical bills. I’m going to put it in the bank. Need to buy some furniture for the new house. We will be spending our tax refund to pay for our kids’ summer camp this year. Payment is due in a few months, so having that taken care of already will be nice. We probably won’t be getting much of a refund as I tried to adjust the withholding to keep that from happening but the refund we do get will probably go towards renovating our upstairs bathroom. We usually end up owing a bit to the Feds. We take the small state refund we get and apply it to the federal bill and this year we put some extra money aside in a savings account to pay the tax bill. we owe a bit of money on the federal side, but I was expecting to – we took the 2008 homebuyer’s credit (the one that you have to pay back), so each year I budget $500 for paying that yearly payback. I’ve got it built into our projections, and I usually end up taking it out of our ING “slush fun” – it’s what we use for periodic payments like this, relatively small unexpected expenses, and additional debt paybacks. Looks like I will owe about $900 between the state and federal. On the plus side, though, I had extra rental income that accounted for the additional tax due! Plan to change my withholding this year to cover it next year. Will use some emergency fund money plus what I can save between now and April 15 this time. i would use the refund to pay down home mortgage. Save it for a downpayment on a home. I want to use my tax money to get my first stock. I would love to have the Canadian version of TurboTax. Thank you very much for this giveaway. I’ll use most of the federal refund to pay the state bill. I don’t know why I always owe for the state. Is there a State W4 that I can fill out to prevent this? I tried to make sure I wouldn’t get much back from Uncle sam, but I guess I made too many HSA contributions. We usually end up with a small refund from the federal taxes and use it to pay off the state taxes (we always seem to owe at least $100 to state). Going to use it to start a down payment fund for out house that we hope to buy soon. We just got married 2 months ago. I am Canadian! We will use our refund towards a family getaway, maybe to Vancouver. My refund will go straight to my student loan. My refund will go where ever my wife wants it to go. 70% of it is going to be split between emergency fund, savings, and investment. 20% is going into my “wish list fund” which includes a new mattress….also the reason I’m not using my regular accountant this year. :( The other 10% will be going into the garden fund. Previous post: The J. Money Library/Blogger Den Is Complete!